There’s been condemnation from civil society of another series of mass arrests of West Papuans by Indonesian police. 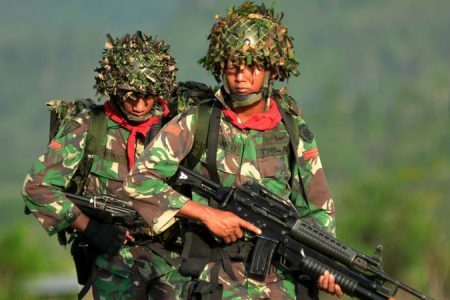 Two organisations concerned with human rights, the UK-based TAPOL and US-based East Timor and Indonesia Action Network, say the arrests contradict claims by Indonesia at the United Nations. In late September West Papuans were arrested in Jayapura after demonstrating support for the United Liberation Movement of West Papua. They were also demonstrating support for Vanuatu’s move to speak at the UN General Assembly about human rights abuses in Papua. Vanuatu’s prime minister Charlot Salwai also spoke about Papuans’ right to a legitimate self-determination process. Additionally, at least two other Pacific Islands leaders told the UN of their concern about the rights situation in Papua. This was met with condemnation by Indonesian officials in their right of reply who denied there were “frequent and systematic human rights violations” in West Papua. But the NGOs said systematic violations, including mass arrests of peaceful protestors, continue unabated in West Papua. Two years ago, the UN Committee on the Elimination of Racial Discrimination warned Indonesia about a problematic trend of unlawful mass arrests of peaceful protesters. In that year alone, 5,361 arrests of West Papuan peaceful protesters were recorded. Tapol and the East Timor and Indonesia Action Network say “no other group has suffered such treatment at the hands of the Indonesian state” as West Papuans. They say a total of 221 West Papuans were arrested last month in relation to demonstrations advocating for self-determination. 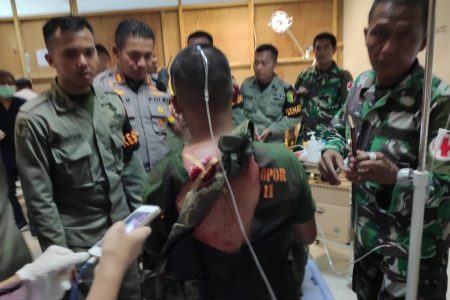 The NGOs say there were several cases of the detainees being tortured, including one man who the Association of Human Rights Lawyers for Papua was tortured by air force members. 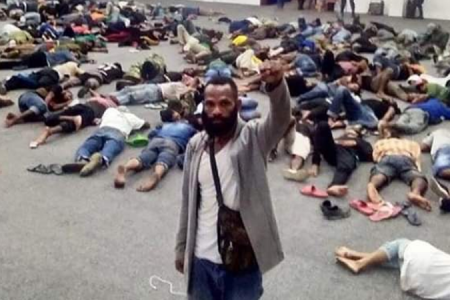 Meanwhile, Amnesty International has urged Indonesian authorities to conduct prompt and independent investigations into allegations of torture leading to the death of a Papuan in custody in Merauke District last month. Indonesian police were unavailable for comment, but have said that citizens who demonstrate with a permit face arrest. Additionally, Indonesia’s military chiefs have often spoken of crushing anyone expressing so-called ‘separatist’ intent. 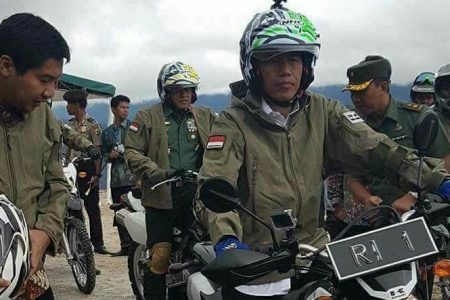 Meanwhile, in addition to the arrests in Papua last month, an additional 39 Papuans were detained in Malang, East Java at the weekend for demonstrating in support of self-determination. The NGOs add that there have been racially motivated attacks against West Papuan student dormitories in Indonesian cities of Surabaya, Yogyakarta and Malang, as well as assaults by security forces in Manado and Tomohon.